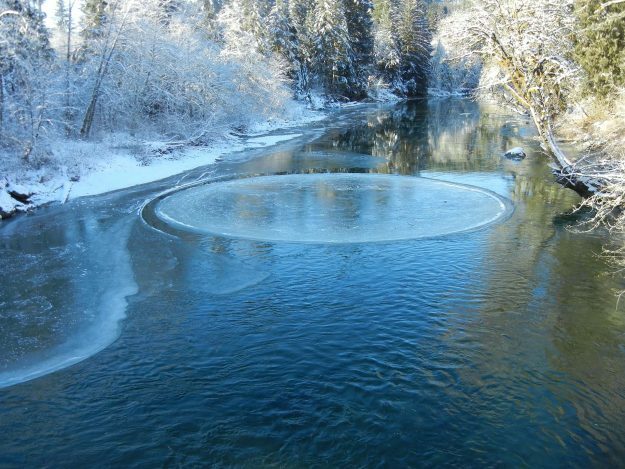 An unusually large example of an ice circle formed just downstream of the Big River Bridge on Saturday, January 7. 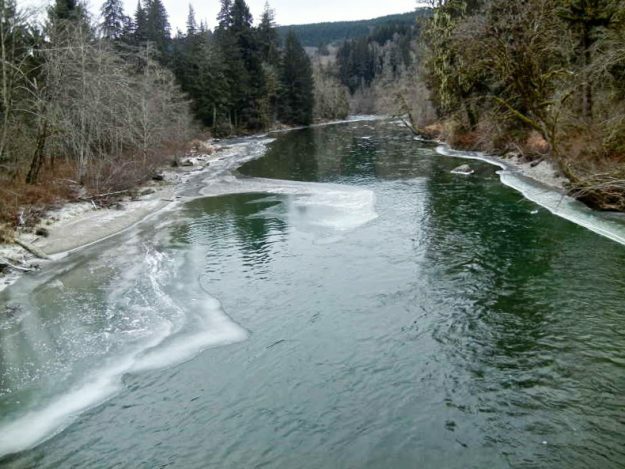 Large ice circles like this are relatively rare, especially so on the Middle Fork river where cold temperatures don’t usually persist long enough for ice to form on the river. 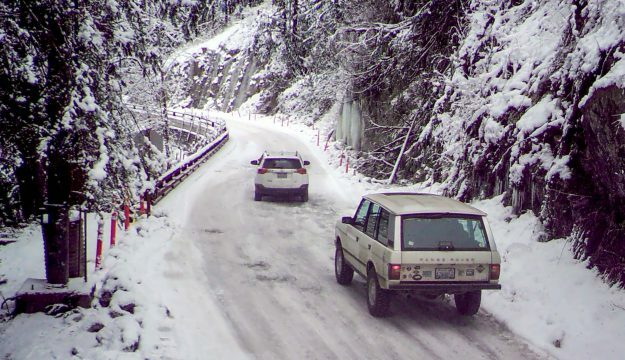 The photo below was taken by a frequent visitor to the valley. More photos and videos are on Kaylyn Messer’s blog. Ice circle just downstream of the Big River Bridge. Photo by Bill Davis, all rights reserved. 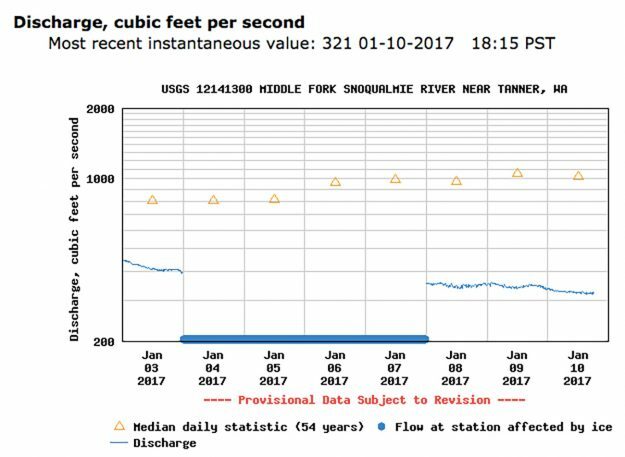 This entry was posted in Middle Fork River and tagged ice, weather on 2017/01/07 by mvanderbilt.